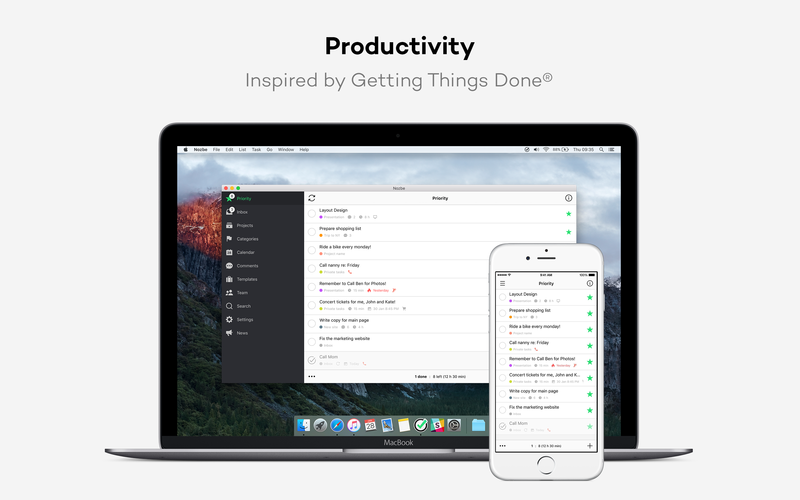 Simply get it all done on your Mac! 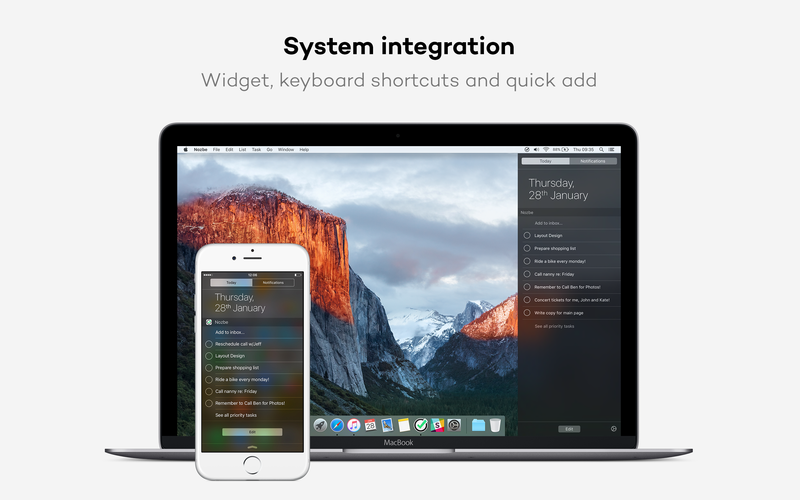 Nozbe on Mac is faster then ever, easy to use and beautifully designed with amazing new OS X-specific features like keyboard shortcuts and Today widget! 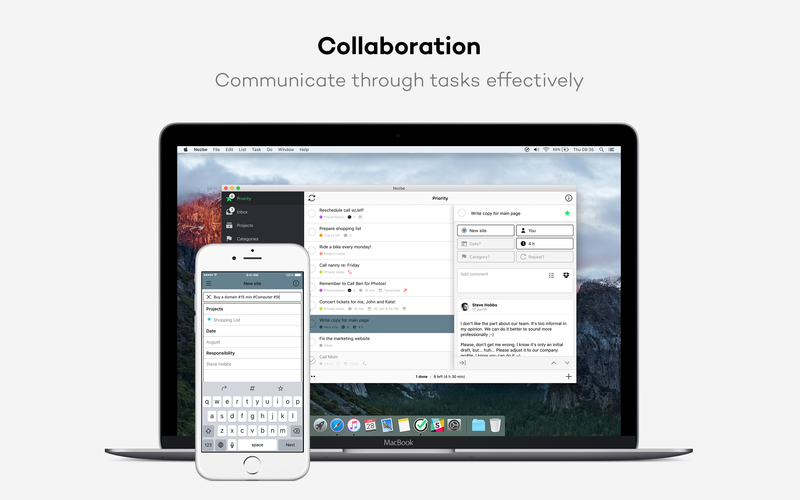 Thanks to intuitive Nozbe apps you’ll easily become a productivity ninja. You’ll learn how to deal with your incoming tasks, prioritize them, manage them within projects and get them done. Stop using email for managing team work. 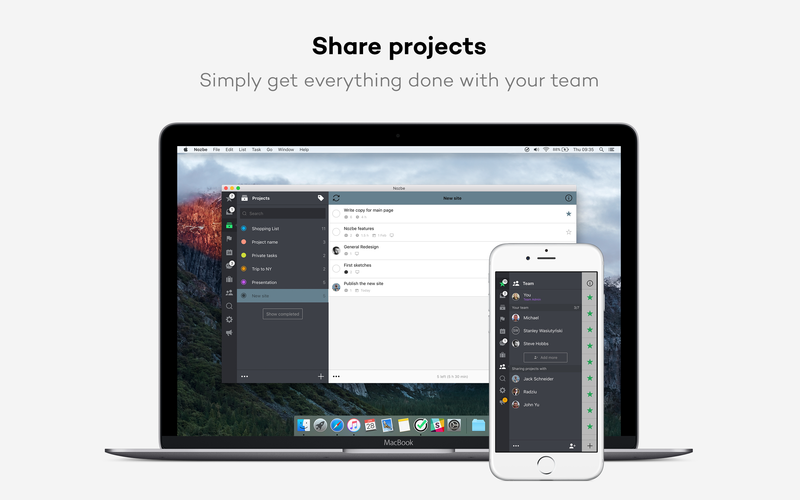 Share projects with your teammates, delegate tasks with just one tap and add comments or files in Nozbe. 5. Take the most of OS X power! Nozbe app has fully responsive design that works great with different window sizes and split view in OS X El Capitan. Today Widget - View your Priority tasks and complete them in Today view without having to launch Nozbe app. Nozbe comes as a free version limited to 5 projects or Nozbe PRO for only two cups of good coffee per month.